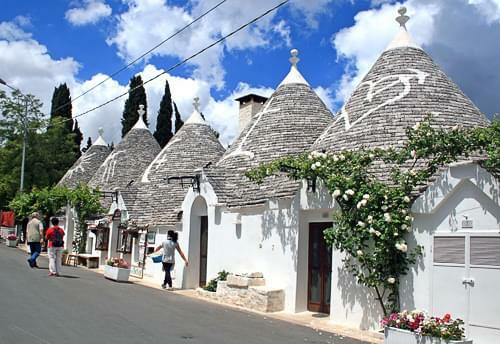 Alberobello is a town in the province of Bari, Puglia, famous for its collection of Trulli, traditional dry-stone dwellings which are only found in the Itria valley. Although there are many Trulli scattered around this region, Alberobello represents the largest collection of original buildings, many of which are still occupied, and has been made a Unesco World Heritage Site. 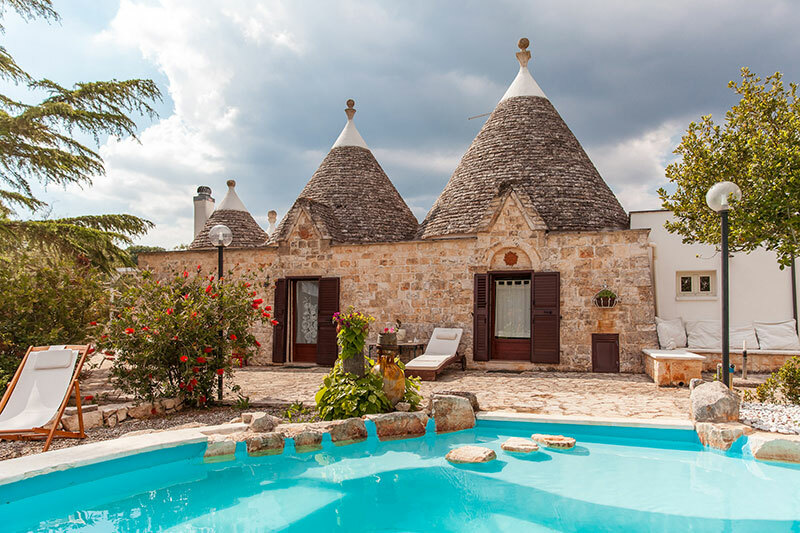 Find hotels in Alberobello The modern part of Alberobello contains a number of interesting Trulli, the most important of which is the 'Trullo Sovrano'. Situated behind the Basilica Dei Santi Medici, it was built in the 18th century by a rich priest, Cataldo Perta, and served as a base for his religious 'Confraternity'. 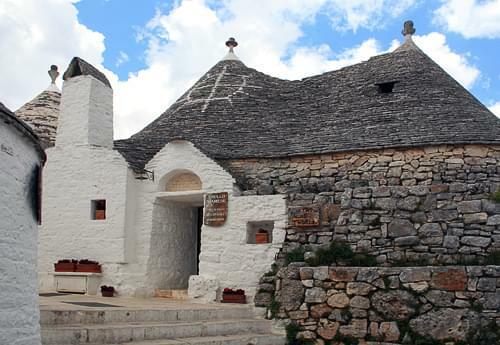 Built over two floors and with its cone measuring 2.7m across, it is the largest Trullo in Alberobello. It is now open to the public and houses an interesting museum. 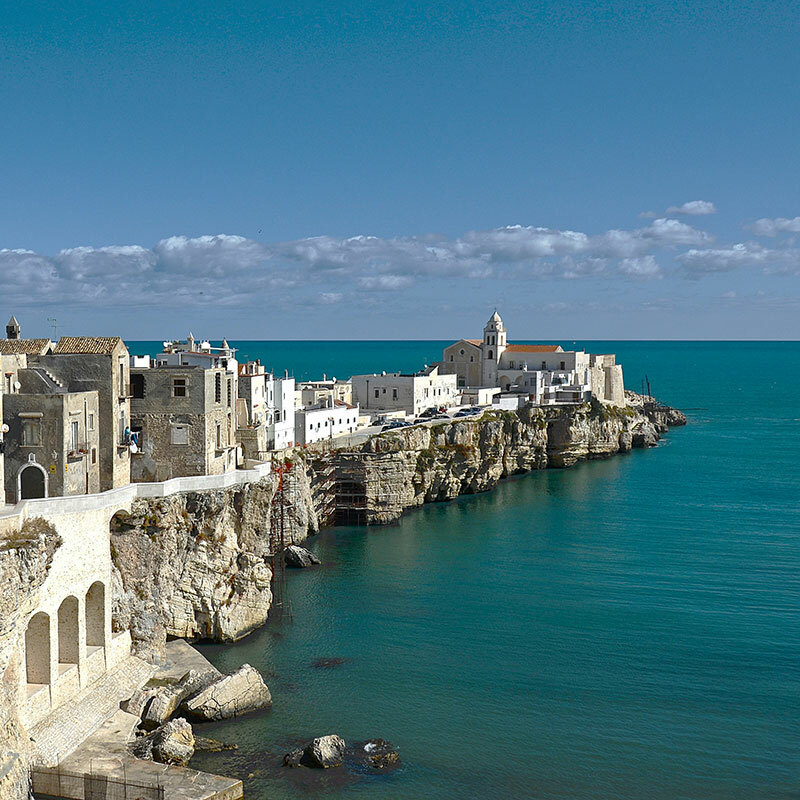 However, to the west of the modern part of the town lies the original settlement which is divided into two areas: Rione Monti which contains 1,030 Trulli Rione Monti rises through seven streets to the top of a hill which is crowned with a church constructed in the 'Trullo' style. 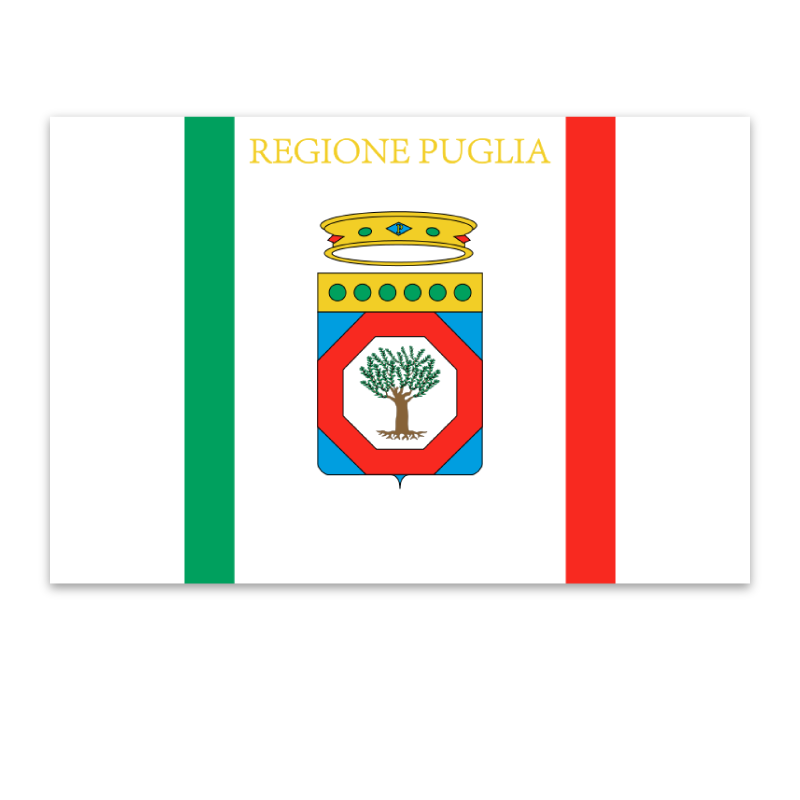 The smaller Rione Aia Piccola contains 590 Trulli which are mostly still occupied. This area is more genuine and less 'touristy' and its streets culminate in an 'Aia' an area the inhabitants used to thresh corn during feudal times. 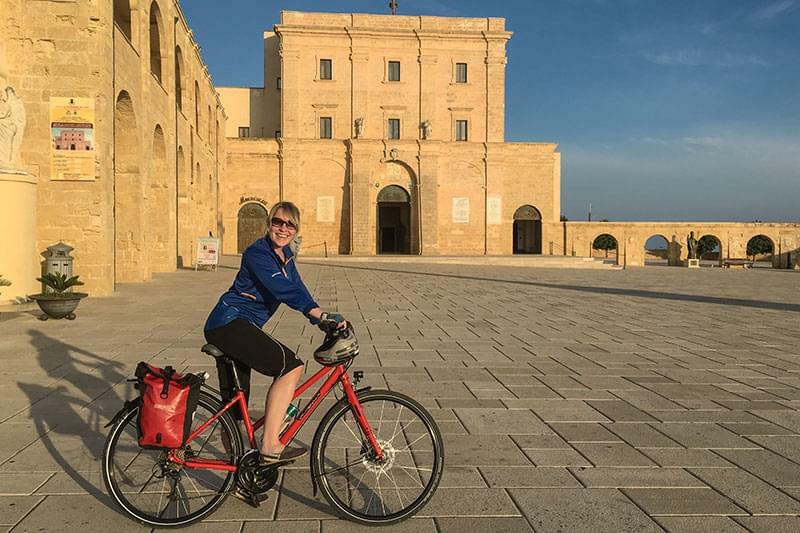 The settlements in this area date back to around 1000 AD when the land was gifted to the first Count of Conversano in recognition of his service during the Crusades. 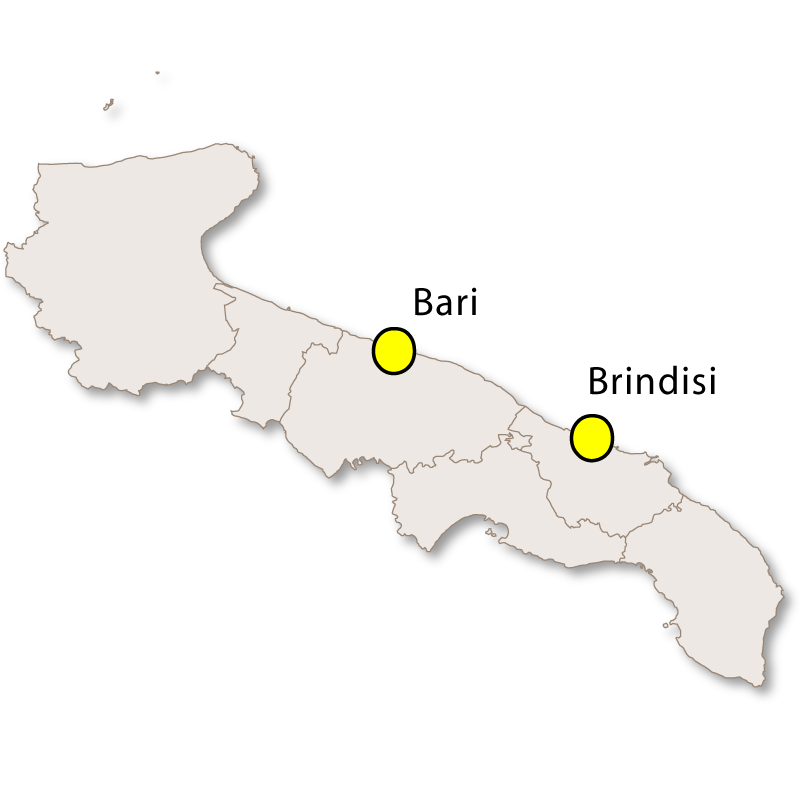 The origins of the unique 'Trullo' design dates back to the 14th century when their dry-stone construction meant that the houses could be easily dismantled making it possible for the feudal lord, Count Acquaviva to avoid paying taxes on a 'New Settlement'. 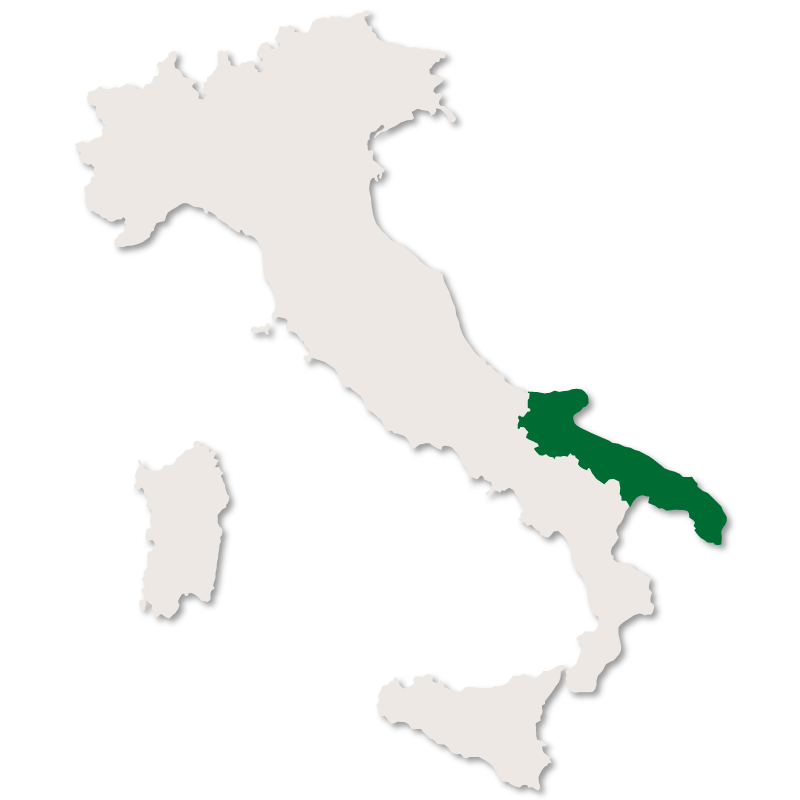 In 1797, the inhbitants successfully petitioned Ferdinand IV, King of Naples to grant them freedom from feudal rule and give Alberobello official 'town' status. 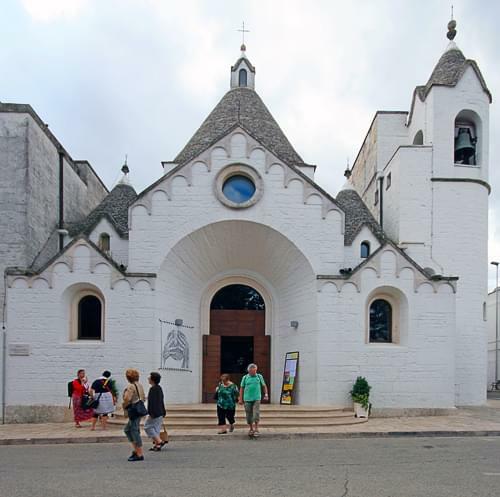 The name of Alberobello comes from the medieval Latin name of the region, siva arboris belli. 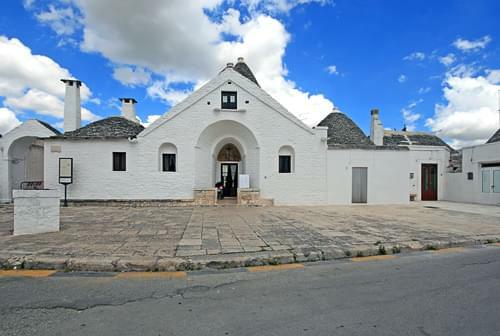 The Casa D'Amore, now used as the tourist information building, was the first trullo to be built after the town was granted its freedom in 1797. The builders made the most of the opportunity to use mortar in the walls and a plaque commemorates the event. 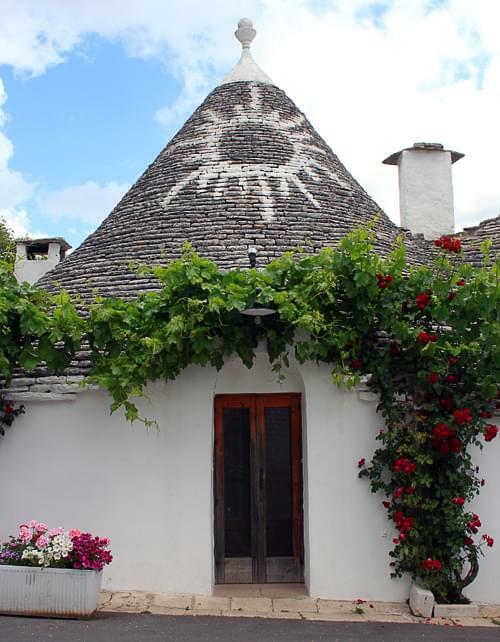 Another Trullo of special note is the 'Trullo Siamese' which is said to have been inherited by two brothers. When they both fell in love with the same girl, they built a wall down the middle and divided the house between them. Alberobello is a unique attraction for visitors. 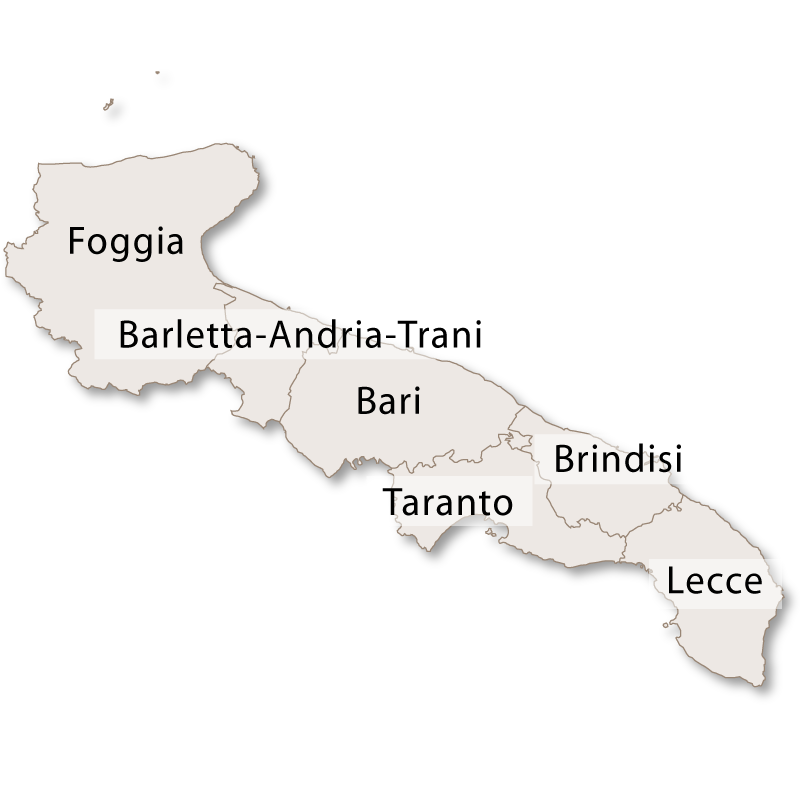 It is located between the towns of Noci and Locorotonda, in the province of Bari, on the border with the province of Brindisi.